My husband, my in-laws and my father wants brown rice along with fish curry. Brown rice is widely used in coastal regions. Brown rice goes very well with fish curry. It is healthy and takes more time to cook. Cooking brown rice perfectly is tricky. The goal is to soften the texture of each grain's fibrous bran coating, the process that takes longer than cooking white rice without causing the rice to become mushy. If you are using a pot or vessel use more than 3 glasses of water for 1 glass brown rice grains. 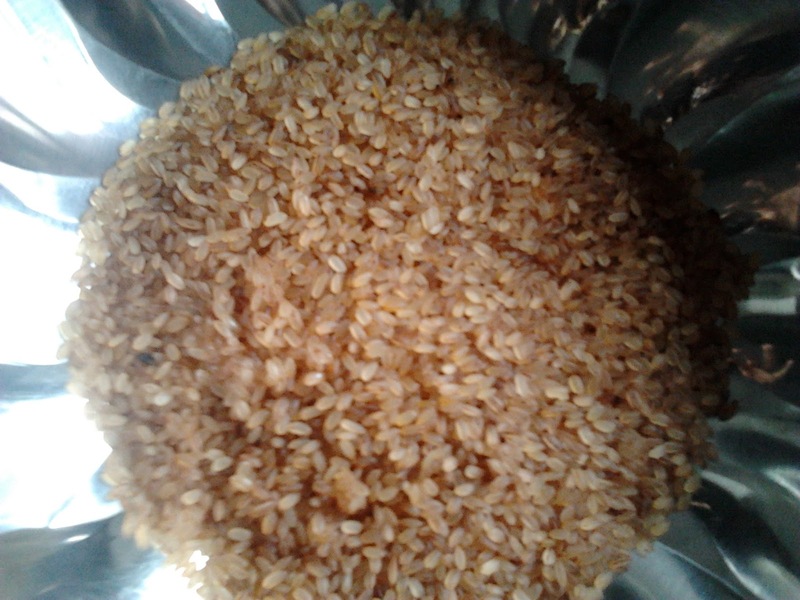 If you are using a pressure cooker use 2 glasses of water for 1 glass brown rice grains. If you are using a rice cooker use 2.25 glasses of water for 1 glass brown rice grains. Wash and soak brown rice grains for 1-2 hours. Take a cooker. 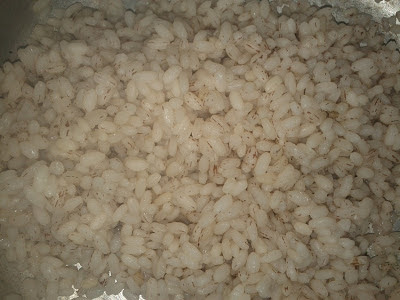 Add rice grains and water. 2. Wait for 2 whistles. 3. Switch off the stove and wait until it cools. 4. Open and serve it hot.